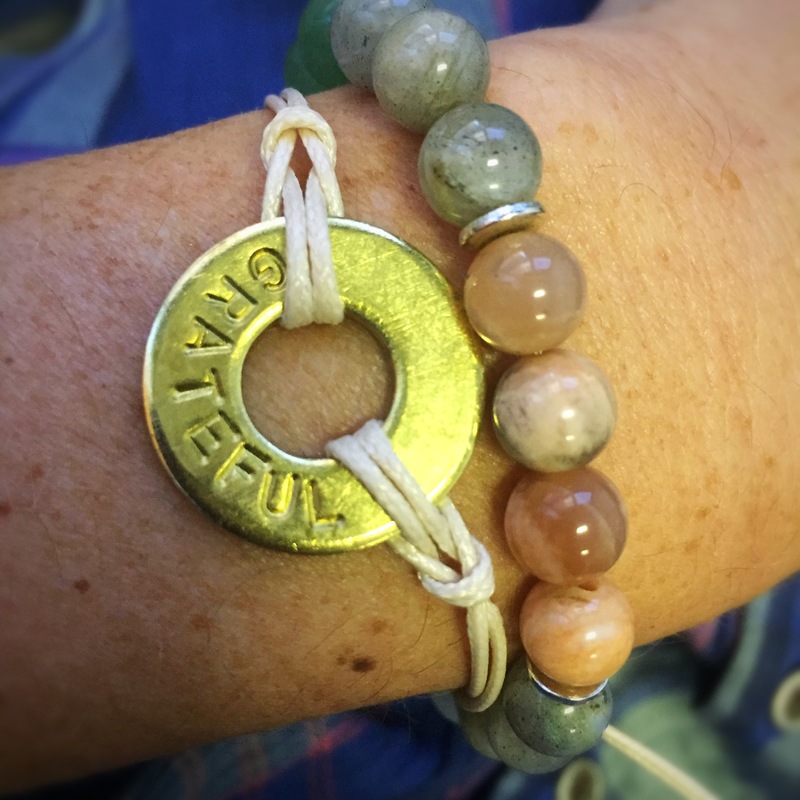 A couple of weeks ago, a Facebook ad for these bracelets from My Intent caught my eye. Yep, the marketing folks at My Intent did a little fist pump as my click through turned into a purchase because I loved the book and concept behind this jewelry and ended up buying two bracelets right away. It’s a simple concept really – what’s your word? What’s your intent/virtue? What’s important to you? You customize these simple looking bracelets (they have necklaces too!) with a word that represents somethingmeaningful to you. That’s it. They make for nice little arm candy and a nice reminder to you for whatever you want to be reminded about. I made two bracelets on my first order. I went with “Strength” and “Grateful.” Strength because the last couple of weeks I’ve been struggling a bit and I often get caught up in the stress and the moment. I wanted a reminder that I have much more inner strength than I give myself credit for; to calm myself and call on it in times of need. It’s simple and silly but it’s a powerful reminder for me. And it’s probably no surprise why I chose “Grateful.” Along the same lines, when the going gets tough, I wanted to remind myself that I have so very much to be grateful for. 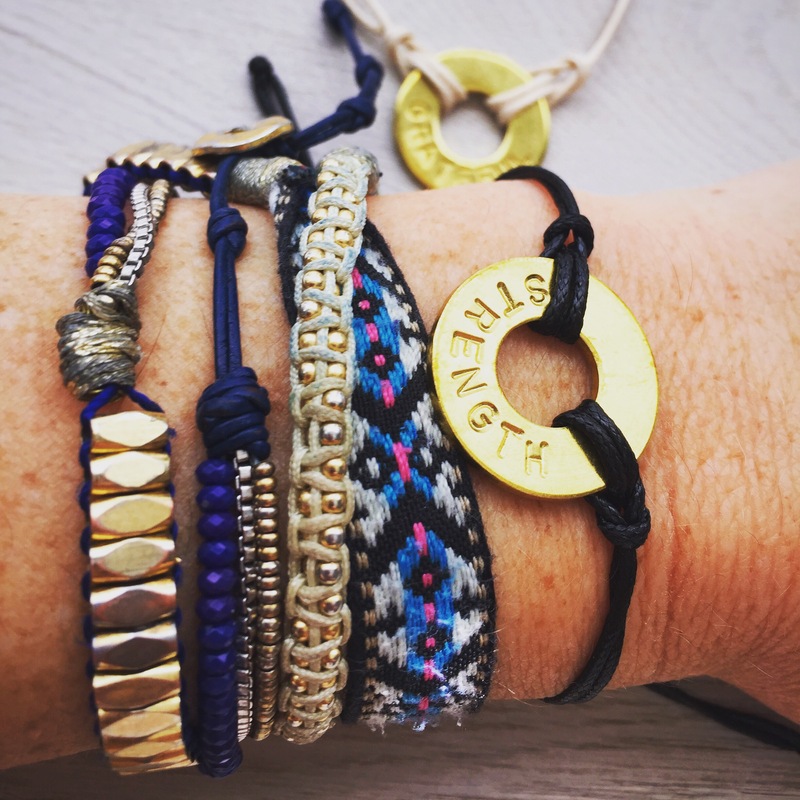 meaningful conversations and positive action.” Visit MyIntent to check them out. If you sign up for their newsletter, you can get a code for $5 off.